Sewaholic Patterns is the first company to offer pretty, versatile sewing patterns for pear-shaped women! Our patterns are easy to use and designed to fit and flatter a pear-shaped figure. Based in Vancouver BC, Sewaholic Patterns was founded in 2010 by Tasia St. Germaine. The idea to create patterns specifically for pear-shaped women came from her frustration in having to alter commercial patterns to fit a curvy lower body. She knew she couldn't be the only one out there feeling the same way. Why not create simple, flattering patterns proportioned for our body type instead? Sewaholic Patterns is proudly Canadian. Our patterns are named after Vancouver area landmarks (Crescent Beach, Lonsdale Quay, Minoru Park) and are printed on FSC-certified and recycled paper. Sewaholic Patterns are stocked in retail shops around the world. We're excited to see more and more people learning to sew and taking pride in making their own clothing! We're combining fashion industry experience with a passion for home sewing to develop a full range of patterns. 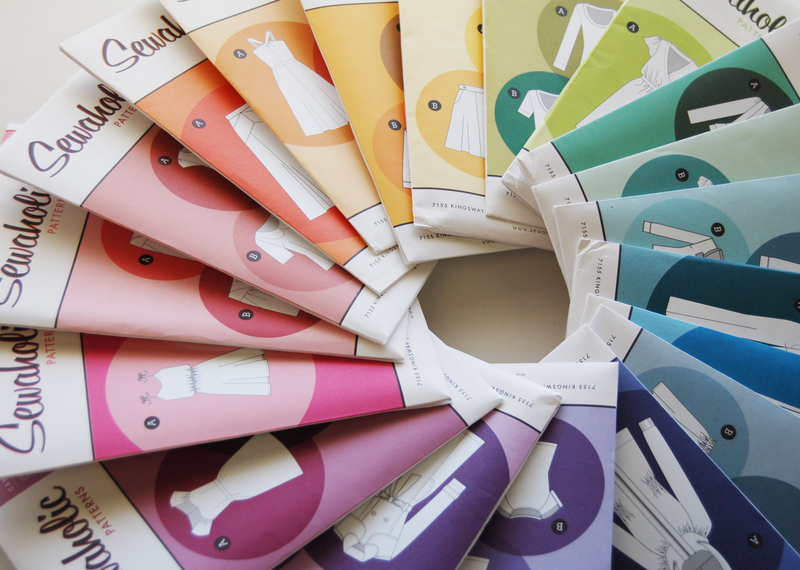 With Sewaholic Patterns, you'll be able to sew a practical and pretty wardrobe, tailored to suit your body type. The Sewaholic blog is full of tips, tutorials and step-by-step photo demonstrations to help you sew with confidence!